Schorndorf is located in the southwest of Germany only 18 miles from Stuttgart, capital of the state of Baden-Wurttemberg. With an estimated 39,000 inhabitants, Schorndorf is one of the major cities in the suburban area of Stuttgart. Schorndorf is situated in the valley of the Rems River and surrounded by hills of the Swabian Forest. Schorndorf is located in the county Rems-Murr-Kreis. Schorndorf is a traditional market town (“Marktstadt”). It is famous for its historic market square with beautiful framework houses. On Tuesdays and Saturdays the weekly market takes place there. You can enjoy fresh fruit, vegetables, meat and Swabian specialties. The Christmas market is also a wonderful place to visit in December. 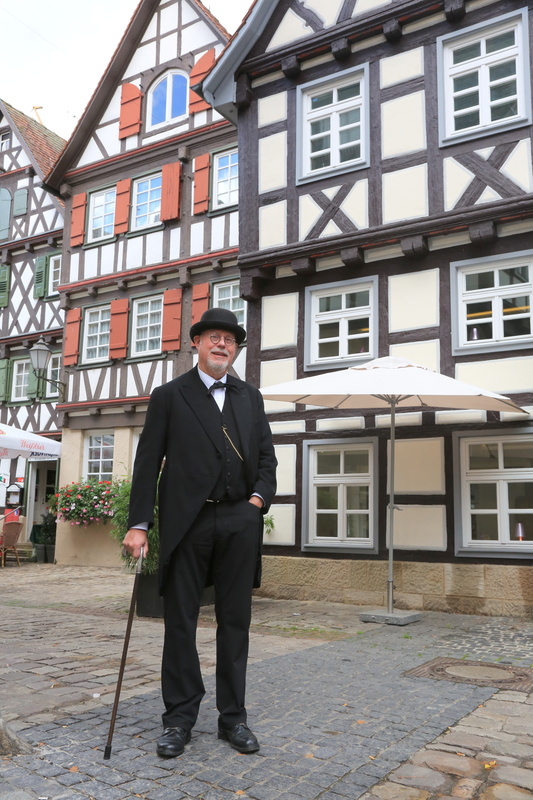 Schorndorf is the birthplace of Gottlieb Daimler, inventor of the first high-speed, light petrol engine. He founded Daimler-Benz, which opened its first American plant MBUSI in Vance, Alabama. You can explore downtown Schorndorf by visiting the castle and museum and going for a leisurely stroll through the city. Special events throughout the year such as Schorndorf Week (Schorndorfer Woche), the Wine Market and Guitar Days (Schorndorfer Gitarrentage) are especially enjoyable in this beautiful city. For traveling to Germany you need a valid passport and no visa. Your passport allows you to stay up to three months in Germany. Use of shavers, hair dryers etc. For using your shaver or hair dryer in Germany, you will need a German adapter. These are available in U.S. hardware stores.